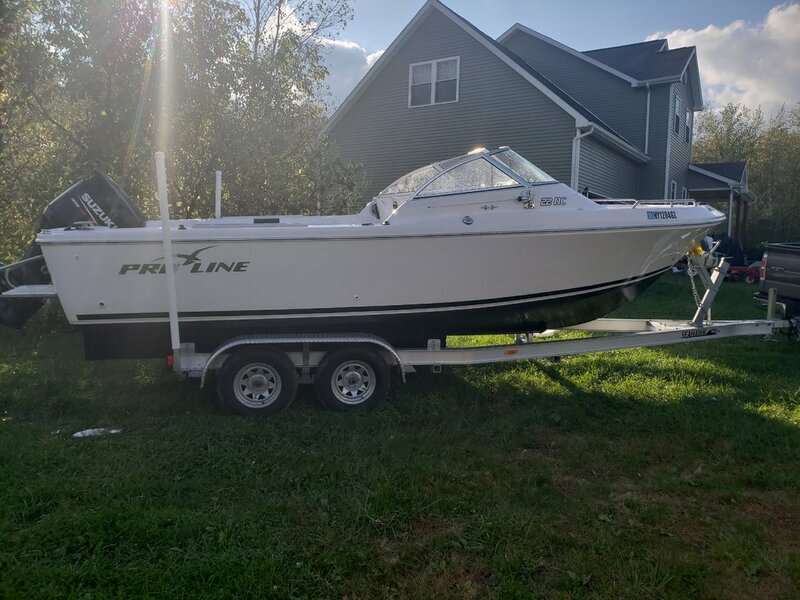 Selling my 2015 Proline 22 DC. Bought more of a project boat that I'm going to turn my attention too. You wont find another one of these out there. Proline stopped production on these I believe in 2004. This one was custom ordered to be made. 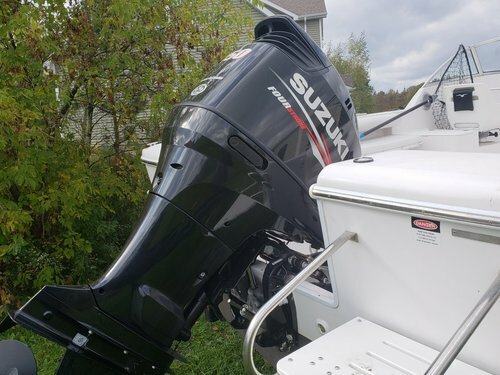 Comes with a 2015 Suzuki 150 4 stroke with about 500 hours on it. Most of those hours are from trolling. Just had dealer do 500 hour service on motor. These motors will last forever by the way. Coast guard is getting 8k-10k hours out of them! Very economical! An 8 hour trip fishing and trolling I might burn 5 gallons. Overall length is 22.5 feet. These are very well built boats with no wood in any part of their construction. Very versatile with removable bench seating. Live well, lots of storage, raw water wash down. 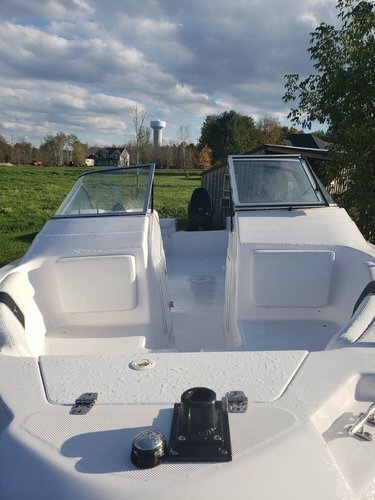 Great for family and fishing. Why spend 50k on an aluminum when you can have a large fiberglass dual console that's perfect for lake ontario or any other multi species lake. I'm not in a hurry to sell the boat. It can be showed year around as it's under covered storage. Bump. 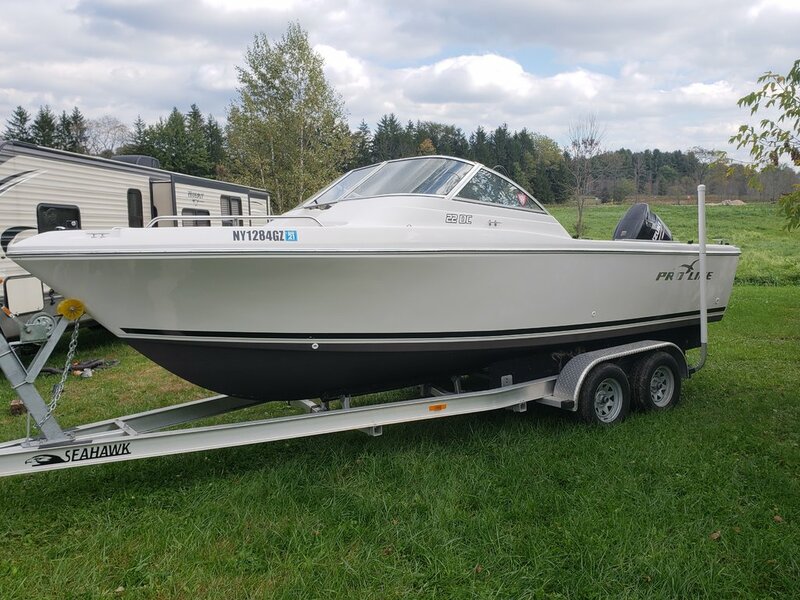 Amazing boat especially if your looking to buy aluminum or family/fish boat. Wow that’s a great looking rig, can do it all in that!!! Yes 2015 model. Bottom paint I believe is aftermarket. Reduced to 26,900...browns are right around the corner! Is there a fishfinder or only a GPS for electronics? Does it come with a stand up cover with sides and back drop curtain for inclement weather? Hey Stefen, what are you getting to replace this boat? Nice looking and very versatile. Just curious. 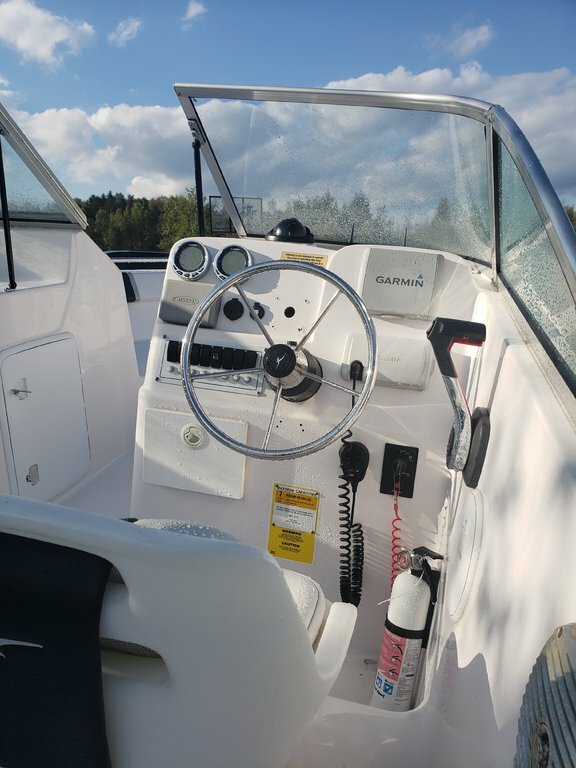 Will also throw in a lowrance hook 9 chirp gps/chart plotter. For 900 more I will include a raymarine ev-100 complete autopilot system new in the box (plus the hydraulic hose kit), two otter boats, and 2 cannon dual axis rod holders. 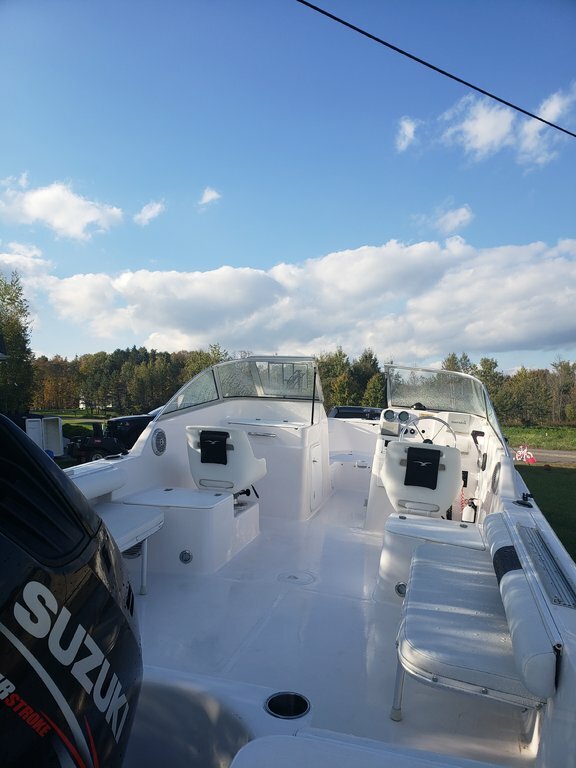 Looks Mint, someone will get a great boat at a very good Price!!! Thanks Pete...yes it’s a great setup for someone looking for a dual console.